The Food. The Service. The Atmosphere. 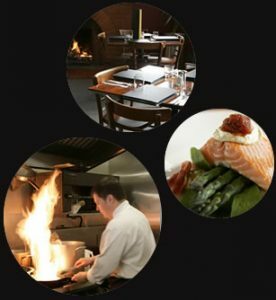 Every dish on our award-winning menu is prepared with care and served to you by people who are committed to giving you an excellent dining experience. Enjoy your meal in our warm and cosy surroundings in the chilly winter months, or dine alfresco in our tranquil outdoor dining area when the weather is fine. 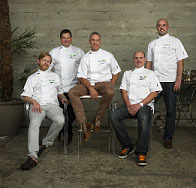 Our Chef/Owner Scott Kennedy is proud to be a ambassador chef to New Zealand Beef & Lamb. Scott, personally shops daily for the finest available produce, he visits all the local markets & food purveyors & has a relationship with private growers throughout the country. Scott prefers to use as much local produce as possible. Our Lamb of choice is Coastal Spring Lamb which is naturally seasoned by the sea. Our Beef of choice is Taupo Beef & Charolais x Angus. In Scotts opinion one of the best steaks he has ever eaten. 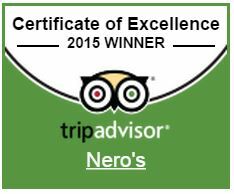 Nero Restaurant is proud to be an ‘A’ Graded restaurant. We’re committed to the highest standards of cleanliness and food safety.